Kukkonen played on the top pair and top power play again but was used more frequently on the PK, and he was probably double-shifted because he seemed to be on the ice all the time. Kukkonen had some nice rushes where he got to the offensive zone all by himself but not much happened after that. He showed nice lateral movement on the offensive blue line. He also made a great cross-ice pass for a scoring chance. He fell down twice when turning to backwards skating which is bad news for a defenseman. It may have just been a bad day but even if it wasn’t, that’s likely something that can be fixed. 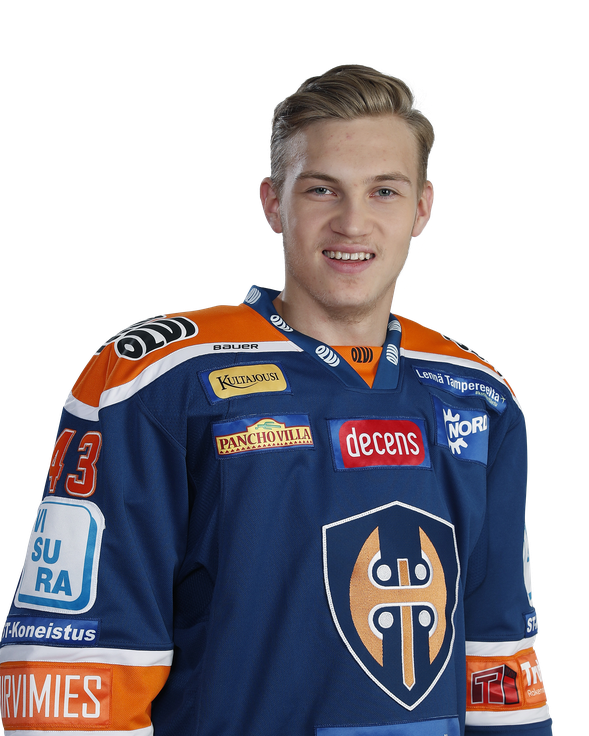 Kukkonen played on the top pair for Tappara U20. He was also the only defenseman on their top power play unit, and he saw some time on the PK as well. Kukkonen had a good game offensively, moving the puck and joining the rush frequently. But he made a bad mistake when he was pressured in his own end, and also made a bad pinch on the power play. But on a positive note, he showed a great burst of speed to recover from that bad pinch. Defensively he looked decent but not great. Kukkonen played only his fourth game of the season but he still got almost 17 minutes of ice time. The lack of games this season was still visible in his play and while he tried to keep things simple, he struggled especially with his passing at the beginning of the game. Overall Kukkonen seems to be developing into reliable two-way defenceman. He is physically very mature for a player of his age and he is physically tough to beat, especially because he also moves surprisingly well. Offensively he wasn’t the best defender from his team and his offensive skill set is somewhat limited but he makes simple yet effective plays and he also reads well the situations when he should join the rush. At the moment Kukkonen is better at the defensive side and while TUTO Hockey wasn’t able to create a lot of offense, Kukkonen was able to show his ability to play responsible and physical game at the own end. His gap control and positioning wasn’t as good as it was year ago however but that part of the game might improve when he has played more games this season. Kukkonen is a prototype of a modern defenceman. He is very mobile and agile on skates and is skilled on defending with the stick. His gap control is good and he knows how to play physical too. While he isn’t a wizard with the puck, he can make plays and joins the rush when there’s a place to do so. He is occasionally a bit too eager to attack which may lead to odd-man rushes towards his own end. He also needs to gain some muscle to win the battles in front of the net.